Do you have a set of bookshelves that you just don't know how to decorate? Well, you're not alone. Bookshelves all over the world sit bare or at least under-decorated. The basis of every well appointed bookshelf are the books. These simples items made up of paper, cardboard and some type of decorative covering (leather is a definite favorite) present a great opportunity to use color, texture and pattern with a single set of objects. So, how do you decorate with books, whether on a bookshelf or in some other way like a professional? Here are a few ways that will really impress your friends and family. Create your very own personal library. If you are a book collector consider creating your very own library. Floor to ceiling bookshelves, a comfortable wingback chair and the best reading light you can afford, and you’re all set up to spend those rainy winter days. Outfit a perfect little reading spot. 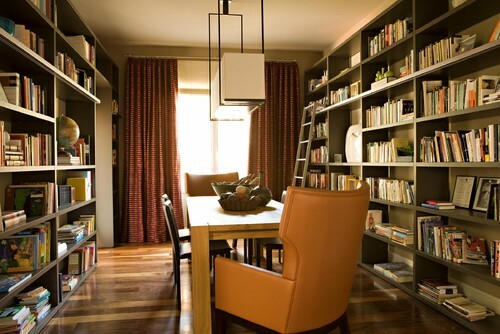 If you don't have a whole room you can turn into your personal library, look for an unused corner in your house. Maybe a large stair landing or nook under the stairs? An appropriately-sized chair and creatively placed stack of books, and you're off to the reading races. Use books to add structure for shelf decoration. The idea of filling shelves with trinkets is one that doesn't usually excite most people. 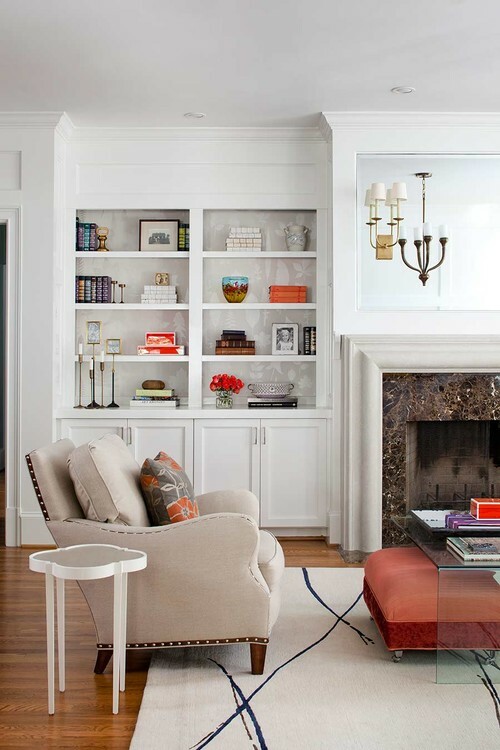 Books are a perfect way to add some structure around the other decorative elements. Placing some horizontally and some vertically keeps the eye moving around the shelves to highlight interesting artifacts collected over the years. Group books by color. One of the most difficult parts of using books as decorative elements is how each one is a different color. To get around this problem, consider grouping books by color. It creates an interesting graphic design that’s unusual and eye-catching! 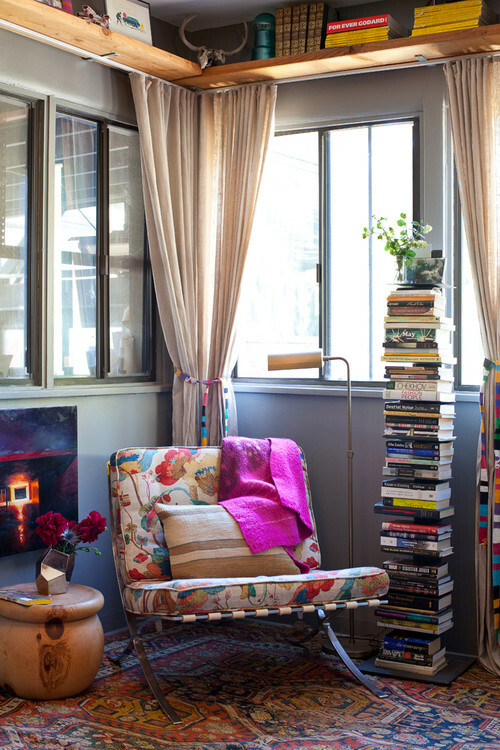 So, how do you use books to decorate in your home?